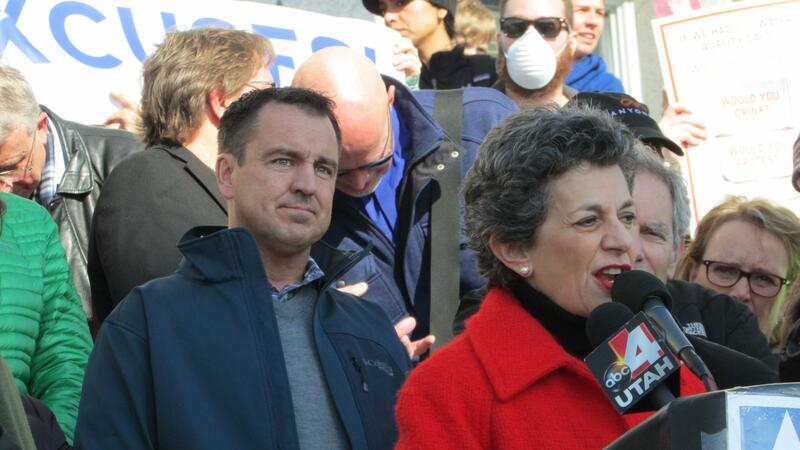 House Speaker Greg Hughes flanks Rep. Patrice Arent, D-Millcreek, during last year's clean air rally at the Capitol. Public pressure has pushed air quality to the top of the political agenda in Utah. The 2016 General Session of the Utah Legislature begins Monday, and lawmakers already have more than a dozen initiatives on their agenda aimed at improving air quality. Members of the bipartisan Clean Air Caucus started by Rep. Patrice Arent a few years ago are behind many of the air-quality priorities on this year’s legislative agenda. The Millcreek Democrat says initiatives that have to do with money top the list. Funds are needed to convert dirty school buses and provide incentives for cleaner business equipment. Money’s also necessary to modernize Utah’s pollution monitoring system and to do scientific research on its unique pollution problems. Lawmakers are expected to consider revamping polluter penalties that are decades old and allowing taxpayers to donate to air-quality programs on their state tax returns. Other bills will deal with solar panels, electric-car recharging stations and clean gasoline. Lawmakers are also expected decide a quarrel that’s been simmering all year, as homebuilders and air-quality advocates fight over updating building codes so that homes and businesses pollute less. Arent says the air quality issue is getting lots of attention in Utah’s State Capitol these days. Utahns have become more concerned in recent years about the ways poor air quality affects their health, quality of life and the economy. Gov. Gary Herbert has responded this year by requesting around $7 million dollars in next year’s budget for key air-quality programs, including monitoring and research. But those initiatives won’t get funding without the Legislature’s approval. 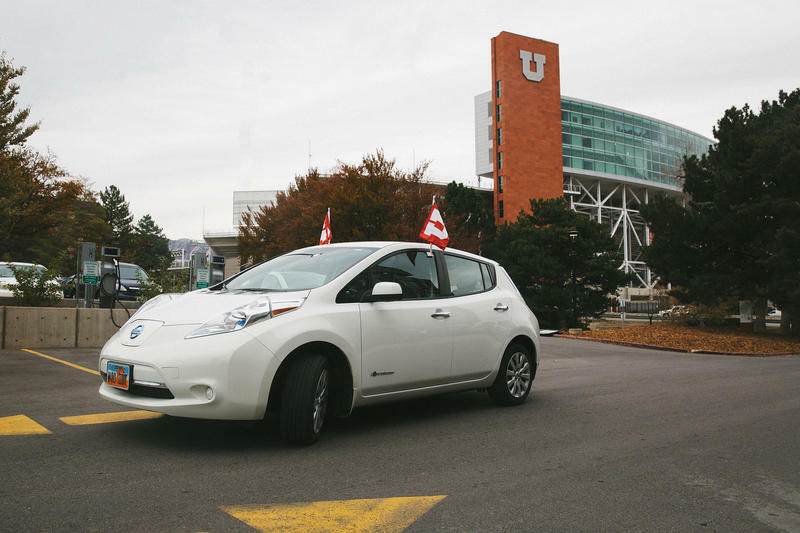 The University of Utah is hoping to reduce its emissions by targeting commuters. The U launched a program Monday to help community members buy electric cars at a cheaper price. Environmental groups have ideas for regulators about cutting the industrial emissions that contribute to Utah’s winter pollution. The Utah Physicians for a Healthy Environment, HEAL Utah and Western Resource Advocates say air pollution harms quality of life in Utah too much of the time. Utah Transit Authority is prepared to run more buses on cleaner fuels with its brand new compressed natural gas fueling station. 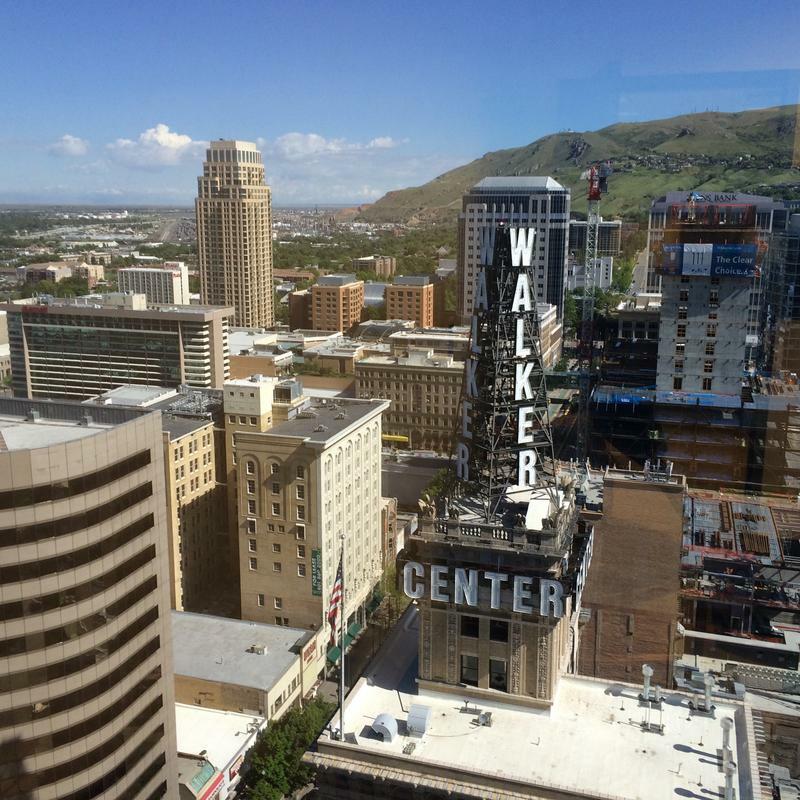 Utahns care about their air – more so than just about anything except education and water. That’s what a think tank told lawmakers Wednesday during a hearing on Capitol Hill.